Today's salad presentation will blow your guests away- literally! 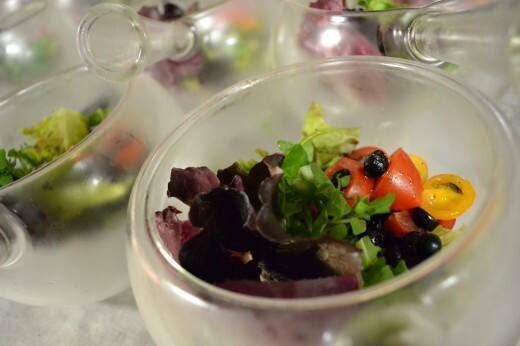 A genius take on the traditional salad, nitro salads from Disney's Contemporary Convention Center are served in special bowls with hidden vessels filled with dry ice. 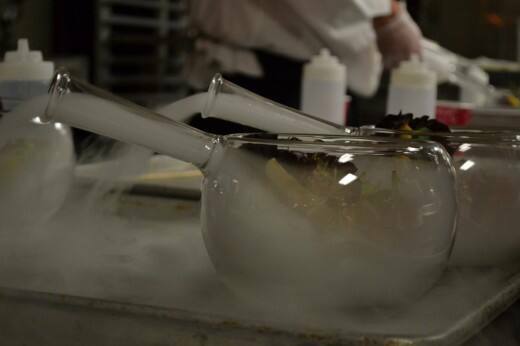 The culinary team leverages these vessels to place a liquid in right before the salad is served to create a smoke effect. Now that's a statement piece!